White Wizzard´s Over the Top is in my opinion one of the most anticipated releases of 2010. They were signed over at Earache last year, and if you recall the folks over at that very label voted their EP High Speed GTO the best release of 2009. Aside from this they have already been featured in magazines such as Kerrang, Guitar World, Metal Hammer, etc. So the publicity machine is definitely in motion, and justifiably so, if I do say so. Let´s get to the issue at hand; I´ve had Over the Top since the beginning of this year, courtesy of the swell people over at Earache (Thanks Anthony!). The album has (in my opinion) lived up to all of my expectations, and surpassed them. For a long time bands have been worried about how fast they can play, how much they can growl, how many arpeggios they can fit into a given space, and have forgotten about composing good solid music. To their credit, White Wizzard has crafted nine stellar songs, with no weak links in the bunch. For those of you that have checked their MySpace page out, you´ve already been hearing the title track “Over the Top”, and “40 Deuces” for a while now. For those of you that aren´t familiar with the band or have only heard the EP, everything has been taken up a notch with the inclusion of (for the most part) a new band. If you like the Maiden/Priest influence of High Speed GTO, add some Saxon, Scorpions, High N Dry Era Def Leppard, and some Dave Mustaine like soloing to the mix. And don´t expect to find any ballads either. The album is full of infectious tracks, with melodies and choruses that just hook you in and stick in your head. The album starts out with the title track (you´ve probably all seen the great video by now), and rips into the aforementioned “40 Dueces”. The song gallops along, and during its chorus Wyatt screams out the phrase “my metal heart will never die” (could this be an Accept reference? ), a sentiment that a lot of us head bangers will forever hold. From here we get into “High Roller” which starts off with some dueling guitars that permeate throughout the track. A lot of Maiden flavoring going on during this track, you´ll find out that it´s a common theme that´s woven throughout the album. The next track is “Live Free or Die” it continues on the same route, with the infusion of a pre-chorus that is tailor made for Wacken, Download, etc., or any other festival, in the sense that it calls for everyone in the crowd to sing along with Wyatt. “Iron Goddess of Vengeance” starts out with some of the middle-eastern riffage made popular by Mustaine. Unlike most that try to play in this style, Erik Kluibert knows exactly how to give you exactly what´s called for, without going overboard. Said style then quickly shift to be more Maidenesque, in the sense of “To Tame A Land” or “Nomad” so as to fit the foundation Jon Leon is laying down with his bass. This band is all about paying homage to classic bands that have come before them, and as alluded to before the with Accept reference, there is a Slayer reference in this song as well. Not sure if that is done on purpose, or if it just fit. It sure does make you wonder though. “Iron Goddess” is the longest track on the album clocking in at a little over seven and a half minutes. “Out of Control” is next on deck; this song is a direct descendant of the Scorpion´s “Dynamite”. With this said, in no way is it a rip off of that song, however, the band is very keen on showing their influences throughout the album without blatantly ripping any one off, as many others have done before them. The song is shot full of that same energy that the classic Scorp´s song possess. The following songs are “Strike Of The Viper”, “Death Race”, they both are in the ilk of Saxon and Maiden. The latter recounts a Mad Max type race across the desert involving all types of weapons, while the former has another one of those choruses that will easily get stuck in your head. The regular album wraps up with the track “White Wizzard” which to me is easily the best track on the album. This is the second longest track on the album, and it takes a minute and a half for the lyrics to kick in. It is as most you probably suspect a recount of the Wizzard himself. This track mixes in all of the styles I´ve mentioned throughout this review, and brings them into the now. In doing so, it blatantly showcases each member´s prowess with their instruments. The version I purchased off of iTunes also has a cover of Cloven Hoof´s “Gates Of Gehenna”, and Judas Priest´s “Heading Out To The Highway” as you may guess are handled perfectly. I would recommend this album to anyone that is into the New Wave Of British Heavy Metal, or just strait on metal in the vein of any of the bands mentioned above. Over the Top presents us an early reason to keep our metal hearts alive in 2010! There is something addictive about Metallica. Kirk really knows his stuff. This is a great website guys. Keep it up! Cool, thanks for stopping by and saying hi! I thought that was extremeley interesting. Thanks for the unusual post. I’ll keep an eye on this. I’ve bookmarked this because I found it helpful. I would be extremely interested to hear more news on this. Great! Take a look at http://www.moshbook.com – a Anti social network just for metalheads. It’s kinda like Facebook but better! Advantageously, the article is really the best on this notable topic. I harmonise with your conclusions and will thirstily look forward to your approaching updates. Saying thanks will not just be adequate, for the tremendous clarity in your writing. I will directly grab your rss feed to stay privy of any updates. Authentic work and much success in your business enterprize! Omg what u’ve impressed upon us here realli got me excited! (ok i know u must reckon im a retard haha!) MEGADETH ROCKS! Dave is the best! Sorry for the lousy english! Luv the amazing solos!Heavy metal forever man! Sorry for the poor english! No problem, thanks for listening! Pretty good post. I just stumbled upon your site and wanted to saythat I’ve really liked browsing your posts. Anyway I’ll be subscribing to your blog and I hope you write again soon!Here is my F1 racing website! Hey, interesting article. Man, is Maiden not one of the best groups of all time? I am completely stoked for their new album and tour this summer! Are you going to see them? Anyhow… Up the Irons and nice site… I’m subscribed to your feed now so I’ll be checking in regularly! Hi, good write-up. I am a big follower of Metallica too… Their latest record, Death Magnetic was great and showed that these guys still rock. 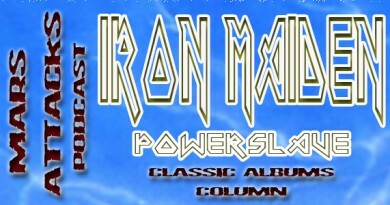 Iron Maiden is another band still kickin – I am so pumped for the tour and new album this summer! Are you planning on going to see them? Anyhow… cool site… I’m subscribed to your feed now so I’ll be checking in regularly!